The classification recognizes schools that have demonstrated deep engagement with local, regional, national, and global communities, making a difference in communities while revitalizing their civic and academic mission. An additional 157 institutions were re-classified during this round. In order to be selected, institutions had to provide descriptions and examples of institutionalized practices of community engagement that showed alignment among campus mission, culture, leadership and resources. Dr. Ingrid Johnston-Robledo, Dean of Arts, Sciences, and Community Engagement, worked closely with Dr. Chris Boettcher, associate professor of English to coordinate the process. “The application involved gathering information from faculty, staff, students, administration, and community partners to document Castleton’s deep and longstanding commitment to community engagement. The process was complex, but, given the depth and breadth of our engagement, the story was easy to tell,” Johnston-Robledo remarked. Castleton, one of five Vermont institutions to be named by the Carnegie Foundation, was the only one to receive the first-time designation, and the only member of the Vermont State Colleges to be recognized. The university joins 361 other institutions across the country that have received this designation since its inception in 2006. 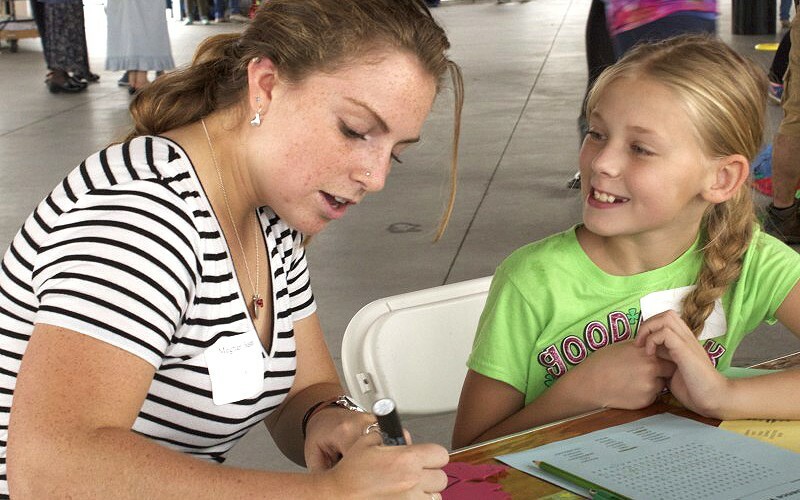 At Castleton, Community Engagement is an umbrella term that describes the many ways in which members of Castleton's college community use their skills, talent, and energy to benefit a wide array of community-identified needs within and beyond the University, while at the same time providing Castleton students with rich, real-world learning experiences. Castleton has sustained a large number of community partnerships for over 25 years. Each partnership has created a unique teaching and learning atmosphere for our students, through service-learning and civic engagement courses, while strengthening their sense of civic responsibility, addressing critical societal issues, and contributing to the public good. 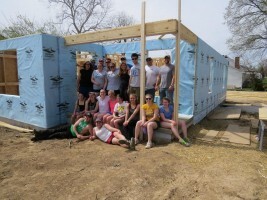 White added that with outreach efforts like the Castleton Mentoring Program, Women’s Hockey’s Pink the Rink, Right to Play, Habitat for Humanity, missions to Honduras by the Nursing Department and the new Castleton Downtown initiative in Rutland, Castleton students continue to extend their reach locally, nationally and globally. For more information on Castleton's efforts in community engagement, visit Community Engagement at Castleton. The Carnegie Foundation of the Advancement of Teaching is committed to developing networks of ideas, individuals, and institutions to advance teaching and learning. The foundation joins together scholars, practitioners, and designers in new ways to solve problems of educational practice. 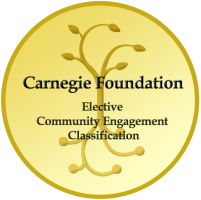 For more information about the Carnegie Foundation and Community Engagement Classification visit nerche.org.